All of you who have traveled by train in India (or anywhere) must be used to seeing coach number and seat number allotted to you on the reservation slips/railway tickets. 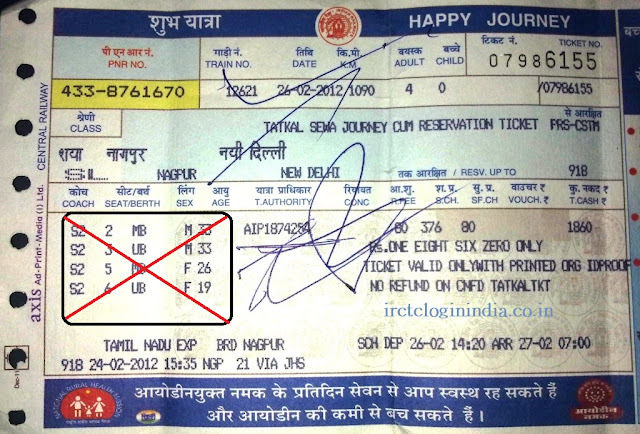 But in near future you shall see that the railway will not mention train coach number/ seat number on tickets. 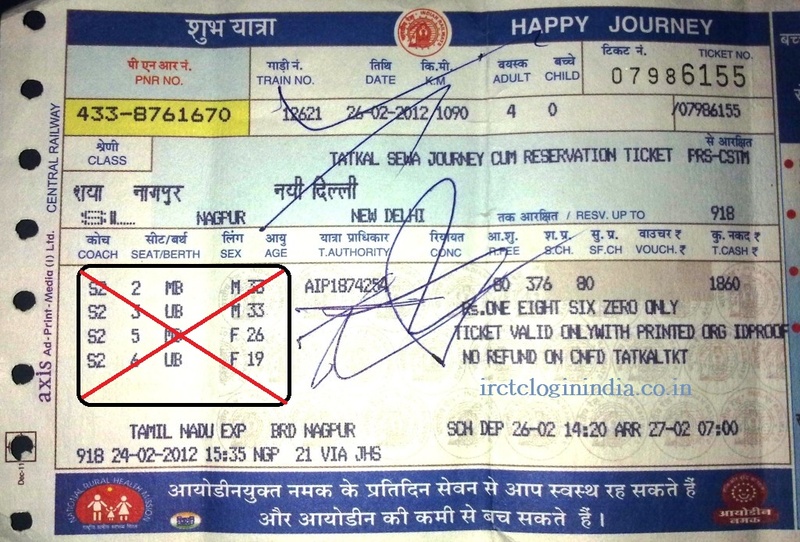 Only you will see 'confirmed' mentioned on your railway ticket in case seat is available. But you must be wondering than - 'How would we know about our railway accommodation and seat allotment?'. In fact, little bit of logic tells that such a step would only complicate things. present railway ticket with coach number and seat number. By knowing the seat which is allotted to you in advance helps you to know where to stand at platform so that you can easily get onto the train on time. While entering into a train isn't a major problem where the train stays for longer times. the majority railway stations are such where train halting time is just couple of minutes. In case, there is huge rush, it can be difficult to get into your bogie, especially if you carry lot of luggage and family. Thus pre-allotment of seats in railway only helps. But there is other side to this story. In recent times ministry of railways, Indian Railways, has received lots of complaints from senior citizens and ladies that while travelling they have to undertake an uncomfortable journey since the railway system allots them seats which are difficult for them to access. But what we see is that young people are allotted lower berth seats and seats which are comfortable. Often we see in train's people requesting younger men to replace their seats with them. This is a classic case of bad allotment of seats. Although, the passenger reservation system of railway has been upgraded and programmed in such a way that senior citizens and ladies get best seats, still it doesn't seem to work in most cases. At present if you want to ensure lower berths are allotted to you, or you want that all family members are allotted accommodation in railway together you have to follow instructions mentioned in - How to get seats in trains side by side. Even than it is not done automatically, which it should do. Thus to address this issue, in future if you buy tickets for Shatabdi, Rajdhani Express type of trains, You ticket won't have a seat number at the time of purchasing the ticket. Instead, only after train chart is prepared, your coach number and seat number will be texted to you by railway in a message delivered to your mobile number.